NEW EVENTS MAY BE COMING SOON! STAY TUNED. *Donations for all games are suggested and never required. 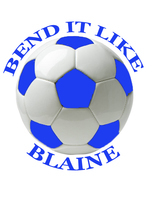 Bend it Like Blaine is entirely run by volunteer parents whose children attend James G. Blaine Elementary School in Chicago, IL. All proceeds benefit the Blaine PTA.